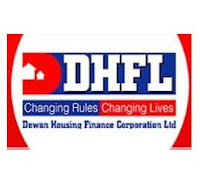 Dewan Housing Finance Corporation (DHFL), one of the housing finance companies, has received an approval for acquisition / investment in equity stake of an unlisted non banking financial company (NBFC) registered with the Reserve Bank of India. With this acquisition, the company proposes to foray into the education sector through the said company in order to provide portfolio of education loan and allied services. Also, the company has received approval for borrowings by way of private placement of unsecured redeemable non convertible subordinated debentures up to an amount not exceeding Rs 300 crore, in one or more tranches. The board at its meeting held on January 16, 2012 has approved for the same. DHFL was incorporated in 1984. With more than two decades of experience, the company is among the oldest private sector Housing Finance Companies (HFC) in India. It is the fourth-largest HFC with a strong presence across India through its 72 branches and 116 service locations. DHFL caters to a large section of Indians working in the Middle East through its overseas branch in Dubai.